This is the way it happens, sometimes. On Saturday, I was out at Fort Langley, browsing through some shelves of used books at one of the community’s myriad antique stores, when I came across a few books by Paul St. Pierre. I leafed through them, trying to remember which ones I had purchased long ago, when his books were a staple in so many British Columbia homes. I hadn’t thought about the long-time Vancouver Sun columnist and sublime chronicler of the Chilcotin for years. I found myself wondering how he was doing, only to learn a few days later that Paul St. Pierre died the very next day in, yes, Fort Langley. Eerie. He left behind a rich collection of beautiful prose that brought to life the vast, sprawling landscape of the sparsely-populated Cariboo-Chilcotin region of B.C., its rugged ranchers and First Nations people. From his books and columns, you got the feeling that no one ever said more than a few words at a time up there, and even those sparse sentences were uttered only around a pot-bellied stove or a fence post. But there was no shortage of colourful characters and gently unfolding stories. They were a natural for movies and CBC TV series, one of which first brought to prominence the legendary Chief Dan George. However, I most remember Paul St. Pierre from his many years at the Vancouver Sun. It’s hard to imagine today, with the product that now arrives on our doorstep, that there existed a time when the Sun had the best roster of daily columnists in Canada, perhaps North America. There was Allan Fotheringham at the peak of his powers, Jack Wasserman — so much more than a nightclub prowler, the far-out, enviro-hippy Bob Hunter, essential Jim Taylor and lovely Jim Kearney in sports, and, if you liked Marjorie Nichols, she was there, too. As a young scribe at the Sun, I was too intimidated by St. Pierre’s stature to say much to him during his rare forays into the office. 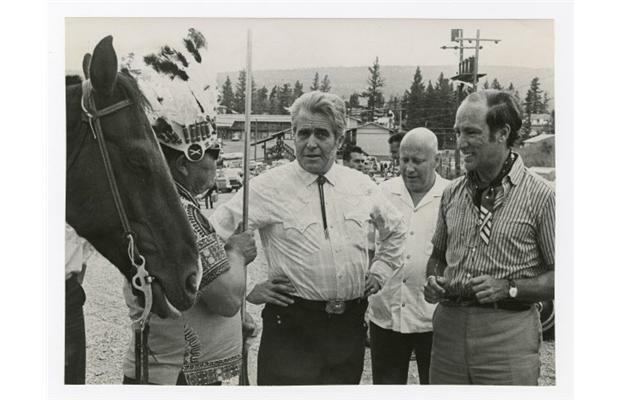 It was also unclear whether he was happy to be back at the paper, after being bounced in 1972 by the same Coast-Chilcotin voters, who had elected him as a Liberal MP during the Trudeau sweep of 1968. But I vividly recall his elegant shock of white hair, imposing sideburns, glasses dangling from a string as he strode imperiously through the newsroom, smoking one of those thin cigarillo things, and a face lined with character that spoke volumes about someone who knew how to live, while enjoying ever minute of it. Listening, as I do most nights, to Tim Tamashiro’s delightful two hours of jazz on CBC Radio 2, the distressing news came out of the blue that Charlie Haden had died. Mentioned almost casually by Tamashiro towards the end of his show, the sad news went straight to my heart. I spent the rest of the evening in mourning and re-living the wonderful music he left behind. He didn’t have the profile of all those headline musicians, but that was part of the appeal of this great, unassuming artist. if it’s possible to love someone I’d never met, I loved Charlie Haden. He may have put out a mediocre album over his half century or so of recording, but if he did, I certainly never encountered it, and I have more Charlie Haden albums than those of any other jazz musician. How a guy in the relative background, playing an upright, acoustic bass, could be part of so much sublime music is one of those mysteries of creativity that perhaps only Charlie Haden could answer. 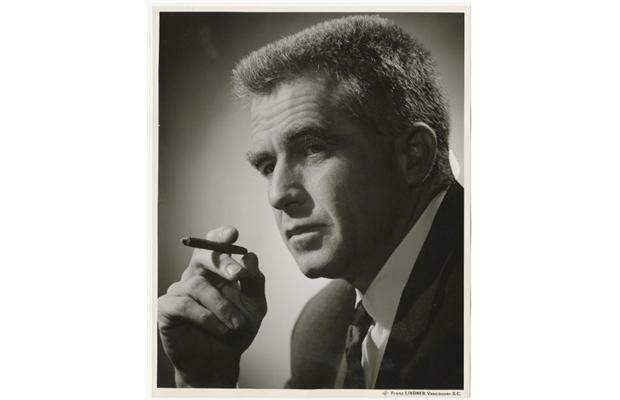 And now he’s gone, dead at 76, struck down by post-polio syndrome he developed late in life. Haden defined the word “eclectic”. He passed through the wild, frenetic, at times almost unbearable, “free jazz” of Ornette Coleman and Archie Shepp, to revolutionary ballads with his Music Liberation Orchestra, to the achingly beautiful albums on his Quartet West albums, to collaborations with uber-guitarist Pat Metheny and so many other pre-eminent musicians, to a lovely collection of country and folk tunes with his singing triplet daughters, and finally, to his last recording in 2012 –just Haden and pianist Hank Jones indulging themselves with spiritual tunes from their church gospel background. 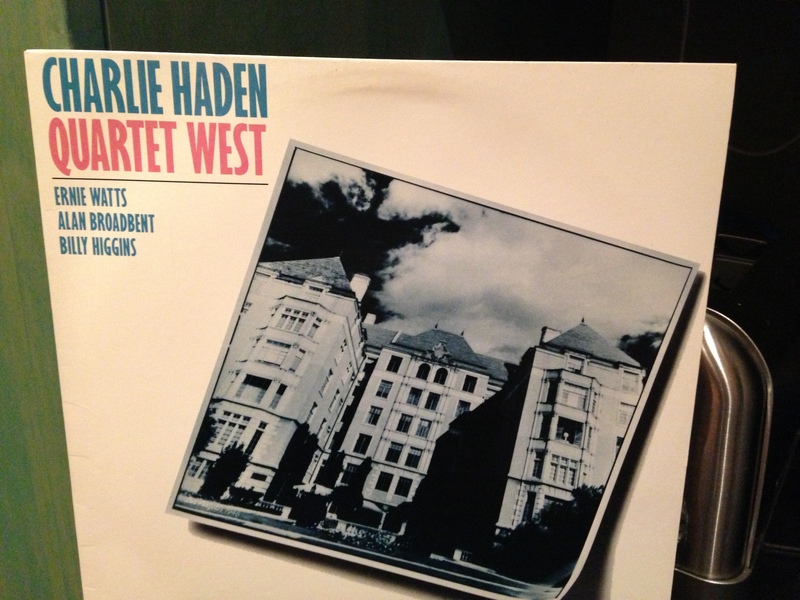 Like just about everything else touched by Charlie Haden, it is divine. My first close encounter of the Charlie kind came during the summer of 1967, Expo summer. I was in Montreal. At that time, music of all genres, including jazz, was bursting out of their traditional strait-jackets. Who should come to town but tenor saxophonist Archie Shepp, one of the famous but controversial group of dissonant, avant-garde jazz musicians who attacked their music full bore, without much regard to tune or structure? Shepp was appearing at a subterranean coffee house on Mountain Street called The Barrel. Curious to see what all the fuss was about, I hooked up with a friend of a friend, and off we went, with no idea what to expect. The night remains one of my most unforgettable music experiences. At some point, Shepp shambled onto the stage. He was joined by a local drummer, trombonist Roswell Rudd, and yes, Charlie Haden on stand-up bass. Without a word, they began to play. Dominated by Shepp’s screeching saxophone, it was loud, it was crazy, it was riveting, it was excruciating. He and his group played for one hour and 15 minutes straight through, without a pause. Half the time I was mesmerized, every discordant note seeming to flow right through me. The rest of the time, I thought: “I gotta get outta here.” It was incredible. Then, the musicians left the stage, without saying a word, and we staggered out into the molten Montreal night, our ears ringing. We were barely able to talk but totally energized by what we’d witnessed and heard. In the midst of all that cacophony was Haden, a musician new to me, with his acoustic, string bass, looking straight as an arrow – conservative glasses, short hair, shirt and tie. I remember thinking: “Now there’s an interesting cat.” I’ve been captivated ever since. Twenty years later, I saw Charlie Haden again. It was Christmas time in Vancouver, and Haden was visiting with his wife Ruth Cameron, who hails from our fair city. While he was here, he agreed to take part in Vancouver’s very first, not very well organized, First Night celebration on New Year’s Eve. Accompanied by a group of fine local musicians, he played a quiet, soulful set under the glass at the courthouse. I was thrilled. Charlie Haden had come to me! He stuck around for a few days after that, and I was lucky enough to take in an even more amazing gig at some forgotten club in Gastown with great Canadian saxophonist Phil Dwyer, then based in Vancouver. It was the first time I’d heard Dwyer, and he was terrific. As for Haden, despite his fame, he was his usual generous self, never seeking to dominate the music, content to be just another bass player, albeit one of the best in the world. It was a great night. Dare I also mention, as this funny old world gets ever stranger, that we even exchanged a few tweets in the past year or two. Such is connection in this disconnected century. But what really solidified my affection for Charlie Haden over time, besides his artistry, was how often we seemed to be on the same wave length, apart from his exalted status in the world of jazz was and my relatively lowly state as a scuffling Canadian journalist. I am one of those haunted by the Spanish Civil War, the last great cause, and the heartbreaking loss of so many young idealists. From around the world, they journeyed to Spain to fight fascism, three years before Hitler invaded Poland. Imagine my surprise when Haden, the guy from the Archie Shepp concert, released his ground-breaking Music Liberation Orchestra album in 1969 that was full of revolutionary ballads from the Spanish Civil War (plus an ode to Ché, if you must know…). Further, for as long as I can remember, I’ve been a huge fan of Raymond Chandler, the father of superbly-crafted crime fiction and the sardonic private eye Philip Marlowe. My favourite of all Chandler’s books is Farewell, My Lovely. So out comes Haden with the first of his entrancing Quartet West albums, inspired by none other than the moody world of Raymond Chandler. One song is dedicated to Chandler’s fictitious Bay City. And naturally, there’s a line from Farewell, My Lovely on the album cover. I really like old time country music, too. So, not that long ago, Haden drifted from jazz to record a delightful album full of this music, a tribute to those long lost family days when, as a lad of three, he was part of his parents’ travelling country music show. Featuring his three daughters, the songs are lovely. 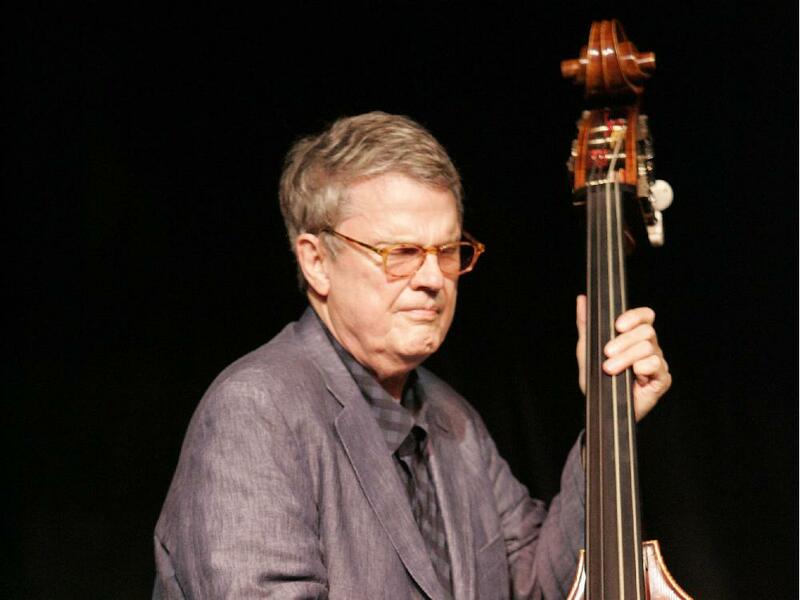 lOn the last cut, Charlie Haden, himself, sings a soft, heartfelt version of Shenandoah. 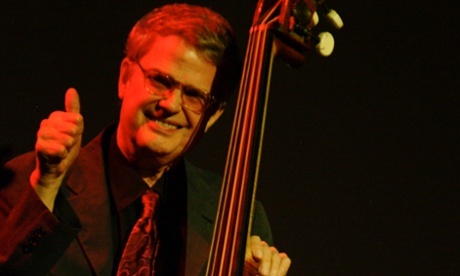 Farewell, my lovely, Charlie Haden. Your beautiful music lives on. If you’d like to read more, here is a very nice collection of tributes that go to the measure of a man who was special in so many ways. And this Wikipedia contribution lists the dozens and dozens of recordings Charlie Haden was part of, including collaborations with everyone from Dizzy Gillespie to Diana Krall. Finally his obituary in The Guardian. 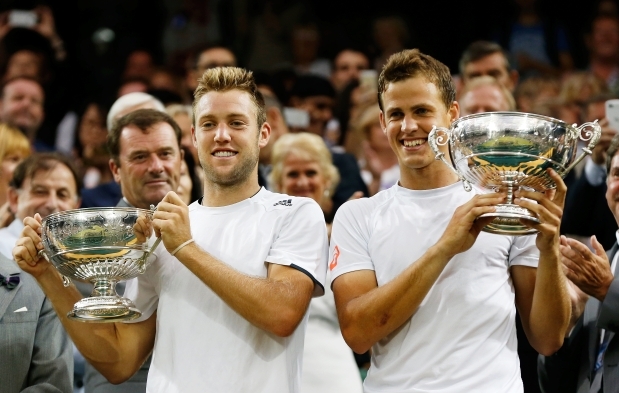 Of course, Vasek Pospisil isn’t quite from nowhere. He hails from good old Vernon, where I spent one of my happiest years in newspapers. And, while playing in the very large shadow of big-serving, fellow Canadian and No. 6-ranked Milos Raonic, he’s been showing promise for a while now. I first noticed him during Canada’s series of Davis Cup matches out at UBC Good serve, aggressive groundstrokes, adept at the net with his cat-like reflexes, and very athletic. But what really stood out for me was his ability to produce under pressure. During an epic, critical doubles victory against Italy that went to 15-13 in the fifth set, Pospisil, teamed with the legendary Daniel Nestor, never succumbed to nerves. In fact, he was the stronger of the two, coming up with fierce serves and powerful winners just when they were needed most. There’s a never-say-die quality to the fresh-faced youth that is eminently appealing. I like to call him “Plucky” Pospisil. Last year, he finally began to make a mark in singles, too. Though it was barely noticed, amid all the deserved hoopla for Raonic, Pospisil slowly rose to a world ranking of Number 25. Applying the same cool and command he displays in doubles, he began being seeded in tournaments. Then, alas, he hurt his back, and virtually disappeared from view. Now he’s back. And his name is on a trophy that goes back to 1884. Wonderful. Here’s an update on a blog posting I did about a month ago, recounting my charming encounter with country singer Jesse Farrell along the Jericho Beach trail and the recording of a video for Canada Day to espouse the virtues of dolls that are distinctly Canadian over American Girls, the Yankee brand dolls shamefully marketed by our alleged national book store chain, Indigo/Chapters. Jesse was re-fashioning Stompin’ Tom Connors patriotic paean, A Real Canadian Girl. Well, the video, which also features young girls at play on Spanish Banks and elsewhere, was finished in time for Canada Day, and here it is. I confess, this hard old embittered relic from the age of typewriters managed a goosebump or two watching it for the first time. 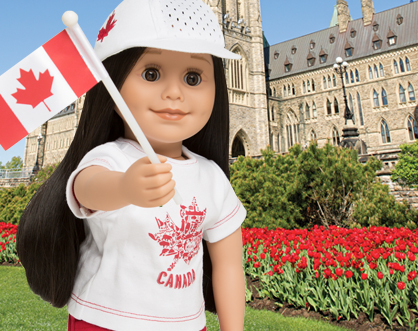 Yes, there are reminders of the Canadian dolls produced by Maplelea, but mostly, thanks to Stompin’ Tom’s cornball but heartfelt lyrics, it’s a tribute to young Canadian girls and our home and native land. Well done. Nicely sung, too. Eat your heart out, Bobby Gimby. For indeed, it is a mess, more of a mess than any of the many previous confrontations between the province’s 30,000 teachers and whoever holds the reins of power in Victoria. In my view, the teachers have legitimate grievances, but they have managed to wind up on an indefinite picket line against a government which, for the first time, is prepared to leave them out there, while gratefully pocketing millions and millions of dollars in salary savings. At the same time, the war of words between the parties could drive a smiley face to despair. Christy Clark and Education Minister Peter Fassbender seem to do nothing but enhance teacher bitterness with every public utterance, while B.C. Teachers’ Federation president Jim Iker resorts to tiresome rhetoric (“Christy Clark’s lockout”….zzzzz) and pointless complaints about such irrelevancies as the government’s alleged failure to engage in “24/7 bargaining” on a pivotal weekend before the all-out strike. The only saving grace of the surprisingly long time it’s taking to corral a mediator is the refreshing silence that has fallen over the combatants. The latest descent into the Twilight Zone was the ham-fisted attempt to involve miracle mediator Vince Ready. His name was trotted out and highly publicized before he’d even been asked if he were available. There’s little doubt Ready would have dropped everything and ridden in on his white horse, if he felt a settlement were within sniffing distance. But after talking to Jim Iker, and then to government negotiator Peter Cameron, he told the parties he was “too busy”. I blame the government for most of the turmoil, beginning with that fateful, unilateral decision in 2002 to wipe out class size and composition limits from their negotiated contract. The stout defense of the move by a certain Education Minister, Christy Clark, is available here. Since then, B.C Supreme Court Justice Susan Griffin has twice ruled the government acted illegally and ordered them to undo the damage. So far, the government has done almost nothing to comply. Instead, the government has treated those court decisions as little more than some sort of esoteric inconvenience, reminiscent of the province’s long-standing, cavalier attitude towards aboriginal title, maintained until the courts finally forced the cold, hard, expensive reality upon them. Not only that, the same government that ignores the courts has the nerve to constantly hound the teachers’ union to be reasonable at the bargaining table. Yet few, beyond the usual suspects, seem to call them to account for this audacious display of chutzpah. Once again, however, the BCTF has trouble doing itself any favours. Replete with negotiators who are elected, rather than hired, the union has a long history of being difficult to deal with. In part, this is because those perceived to be moderate or open to compromise or too close to the philosophy of Rodney “can’t we all get along” King run the risk of being drummed off the executive at election time. With the public sector pattern staring them in the face, the teachers have come down mightily on their basic wage demands, but on other issues, they still find it difficult to compromise, holding to the belief that negotiations are about getting what we deserve, rather than striking a deal both sides can live with. And the union has stuck to its strike strategy devised early in the year – Phase One, no administration meetings. Phase Two, rotating walkouts. Phase Three, all-out strike. – despite aggressive new tactics (lockouts, wage cuts) by the government and no willingness to legislate them back to work. This appears to be putting more pressure on teachers, themselves, than the folks in Victoria. With no election until 2017, the government is sitting back, seemingly waiting for the teachers to surrender. While that may be good for the government’s obsession with balancing the budget and its long-held dream of bringing the militant BCTF to heel, it’s hardly good for education in this province. 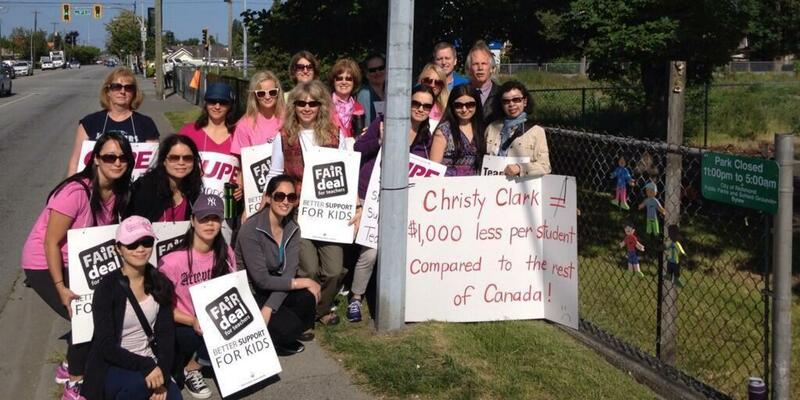 Those are real teachers on the picket, not leaders of the BCTF, which get all the media attention. The increased stress and workload they experience in the classroom is real, too. But there is little recognition of this by the government, little appreciation that the responsibilities of teachers are different from other public sector workers. There’s no reward, no attempt to make teachers feel good about what they do. Instead, it’s mostly sanctimonious sound-bites about the need for the teachers’ union to be “reasonable”. And of course, that means being “reasonable” on the government’s terms. The other night in the bar, I bumped into a teacher after their big union rally at Canada Place. She was a reminder once again, if such a reminder were really needed, how committed and passionate most teachers are towards their duties and their charges in the classroom. “Despite what Christy Clark says, it really is about the kids,” she told me, with that earnest look teachers have. She was referring to a recent unfortunate comment by the former education minister and current premier. “It’s all about money – It’s never about the quality of education,” Clark warbled on the radio. “We’re never talking about the kids.” I wonder if the premier knows, or even cares, how much anger and resentment that kind of remark causes among the thousands of good, solid teachers this province has entrusted to educate our young people. But sadly, she holds meagre hope the dispute will end in victory, despite voting ‘yes’ for a strike. “The government used different tactics this time. They played hardball, and we didn’t seem to notice,” she said. “We just went straight ahead, as if nothing had changed.” When I suggested that had put them on an indefinite walkout at the end of the school year, with no strike pay and little pressure on a resolute government that is replenishing its coffers every day the strike goes on, she sighed in agreement. That’s the tragedy of this unfortunate, protracted dispute. It really isn’t about the obdurate BCTF and a hard-nosed government, determined to spend as little on education as possible to maintain its self-proclaimed bottom-line. It’s about all those individual teachers in the classroom, to whom we entrust the education of our young people. While it’s tempting – very tempting — to blame the stridency of the BCTF for everything, there are two sides in this war, and for most of the past 12 years (the Carole Taylor-engineered contract the lone respite), the B.C. government has been engaged in its own offensive, taking a hard line on class size/composition, trying to provoke a strike (according to Madame Justice Griffin) and doling out minimal pay increases, when they are doled out at all. Yet, as my teacher in the bar noted, the BCTF’s strategy in this latest showdown appears to have left union members in a precarious situation. Government negotiator Peter Cameron, who honed his bargaining skill in days of yore as a militant union leader, has arguably outmaneuvered the BCTF. 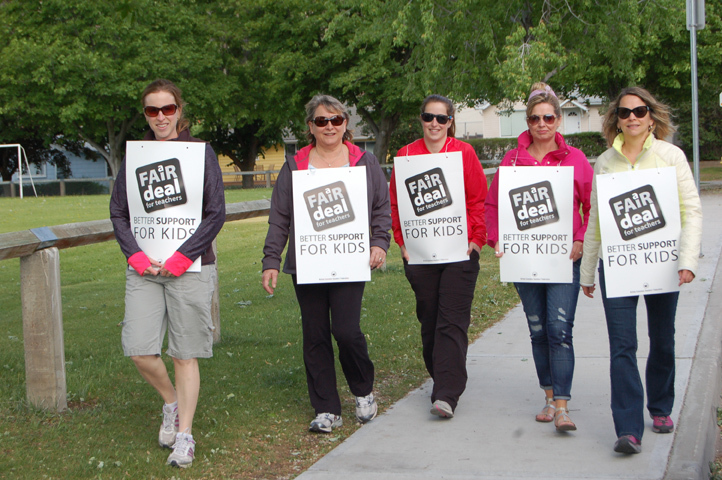 It would be remiss, however, not to point out that it’s hardly an easy situation for the BCTF. Cameron holds almost all the cards. On wages, he merely has to stick to the bargaining mandate already imposed by the government and accepted by other public sector unions, adding nothing more than a few nips and tucks here and there. I think even I could do that. And on the more critical class size/composition matter, the government has simply held firm to its original offer. Cameron would have given his prized sweater collection to have had a deck stacked so much in his favour during the days he negotiated against the province’s tough mining companies.